American journalist A. J. Liebling famously said, “Freedom of the press is guaranteed only to those who own one.” Blogging gives you one. It’s not just a happy metaphor, either. A generation ago the only way to get your thoughts to a wider audience was through broadcast or print, and the only way to do that was with big capital equipment. To be heard, you had to go through people who had that capital. They had to bless your words, or you couldn’t get at their equipment. With a blog, the only resource you need is computer access. Profound. Not only do you not need permission: you can say anything you want. Blogs are free and public. They sprinkle ideas like seeds in soil: some never take root, but some do and sprout, and some of those sprouts grow tall. Some get noticed and some don’t, but that doesn’t hold you back: you can express whatever you want. Consider what happened to me. I started a blog because I’d beaten a usually fatal cancer. (Good enough.) I wrote whatever I felt like, ranging from thanking my doctors to ranting about statistics and touting my hobby (barbershop singing). Then I got interested in health care and wrote about that but not that much. But in 2009, I wrote about my medical records, and in less than a month it bent federal policy. I’d discovered my insurance billing history was a mess, and unbeknownst to me, the post stomped in a mud puddle of policy being discussed in Washington. Twelve days later it was on the front page of the newspaper. Pretty soon the proposed policy was ditched—because of one middle-aged guy from New Hampshire, in a recliner New Hampshire just writing what he was thinking. I didn’t even try to do this, but blogging generated invitations to federal policy meetings, and invitations to speak at conferences to doctors, patients, and policy people. Who knew? Perhaps you’re like Amy Tenderich of DiabetesMine, who simply wanted to connect with others to discuss her condition. Or, you’re like Kelly Young of RAWarrior.com, who started writing about her condition and soon attracted thousands of followers. You might be like Robin Smith and her friends in the Cushing’s community, who discovered each other across vast distances. Each of these patient blogs was started by someone who initially had no idea whether anyone would listen and then discovered that many would—and did. What’s on your mind that you’d like to express? Even if nobody’s listening? Go for it; someone might. Dave deBronkart (a.k.a. 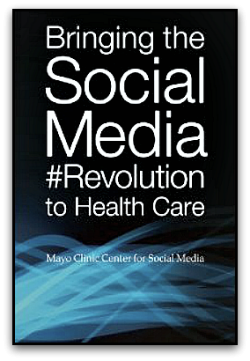 @ePatientDave) is a Platinum Fellow in the Mayo Clinic Social Media Network. Not only do you not need permission to blog: you can say anything you want. “Freedom of the press is guaranteed only to those who own one.” Blogging gives you one. A generation ago the only way to get your thoughts to a wider audience was through broadcast or print, bit then the Internet came along.